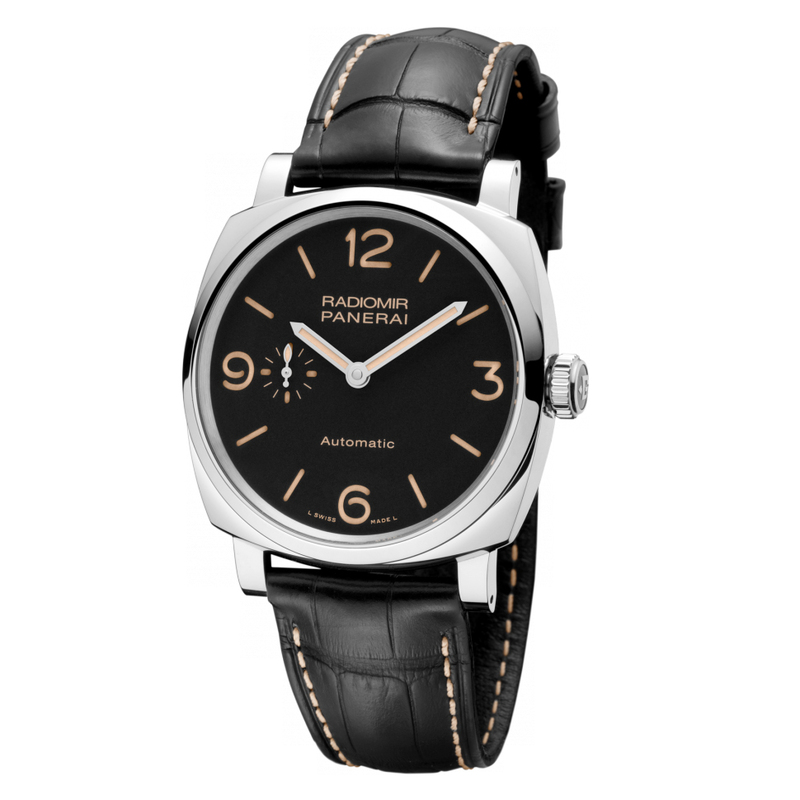 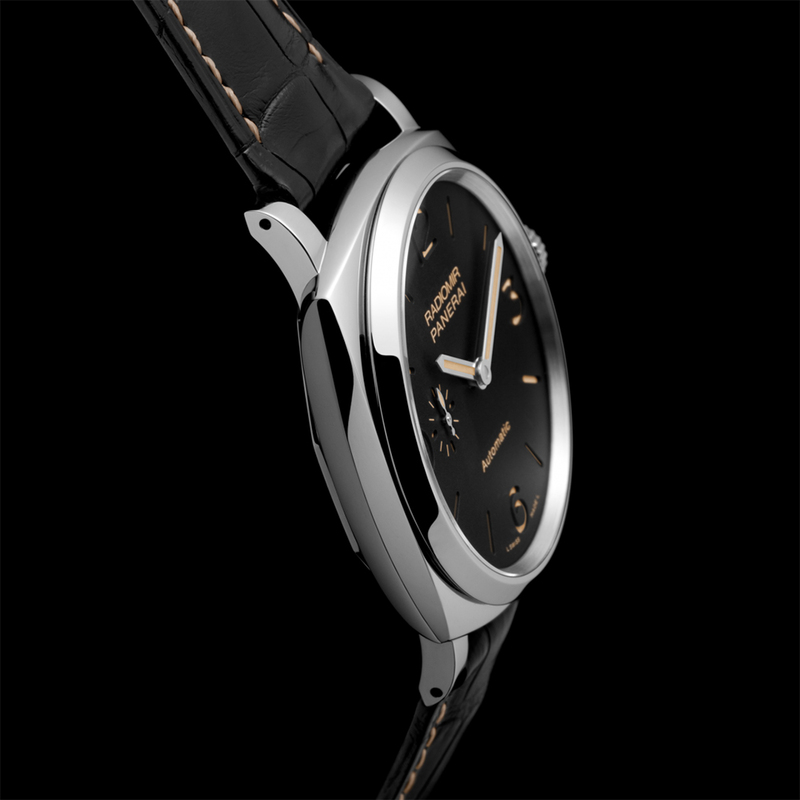 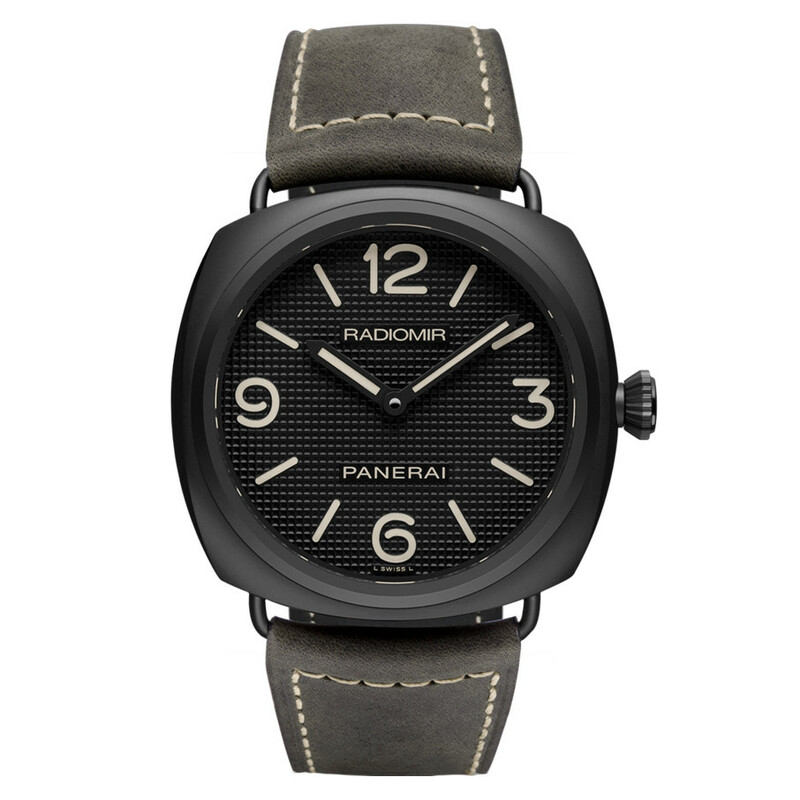 The Panerai Radiomir 1940 3-Days (ref. 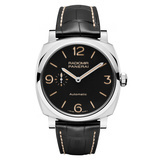 PAM00620) features the Panerai P.4000 caliber mechanical automatic movement with an approximate three-day power reserve when fully wound; black dial with luminous Arabic numerals & hour markers; small seconds subdial at 9 o'clock; sapphire-crystal, transparent case back; and 42mm, stainless steel case on a black alligator strap with a stainless steel ardillon buckle. 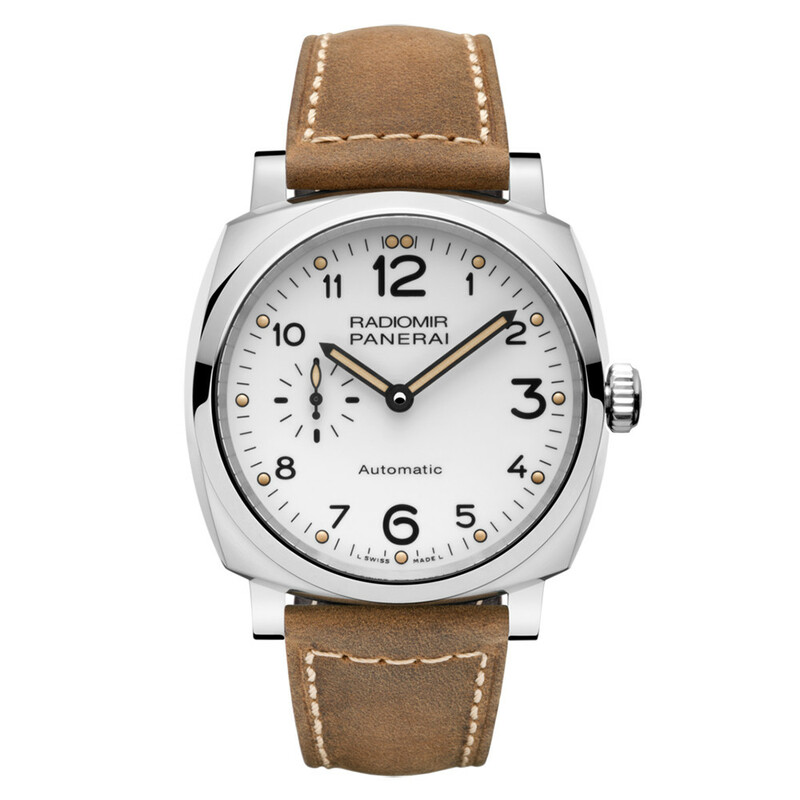 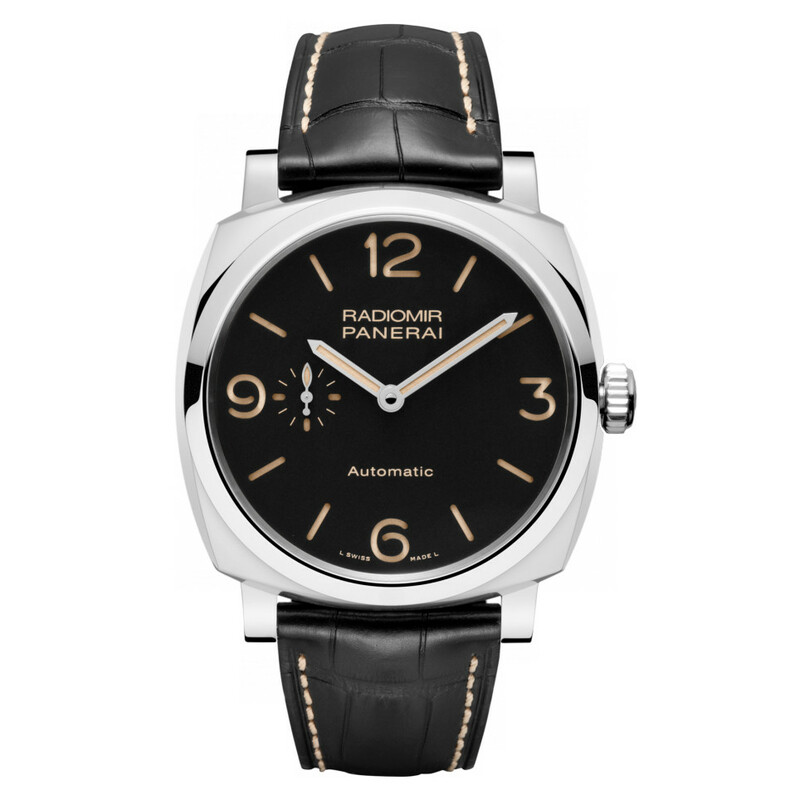 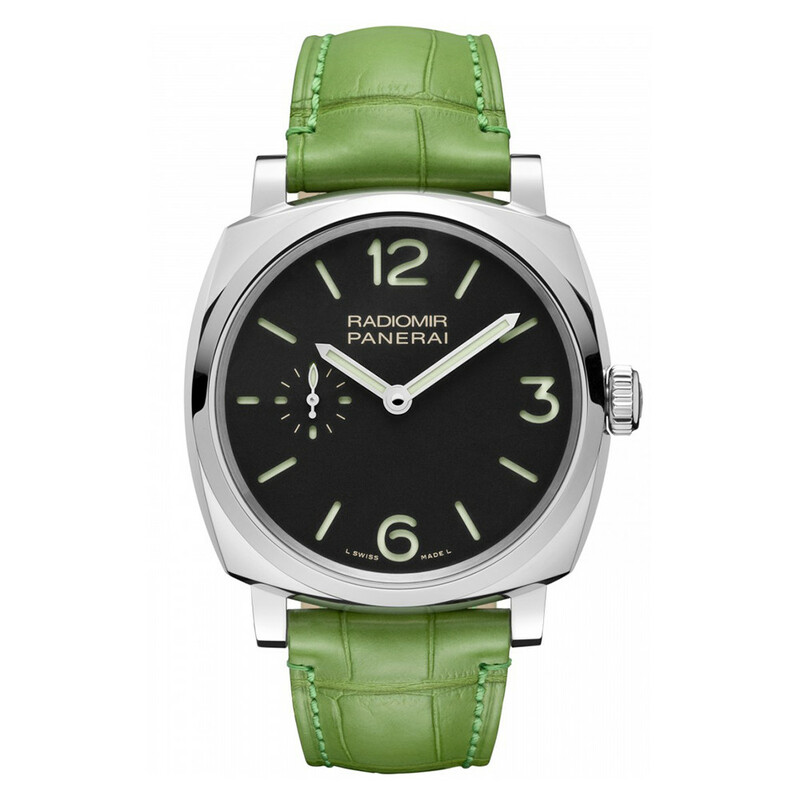 The Radiomir 1940 3 Days Automatic Acciaio revives the design of several historic models created by Panerai around 1940. 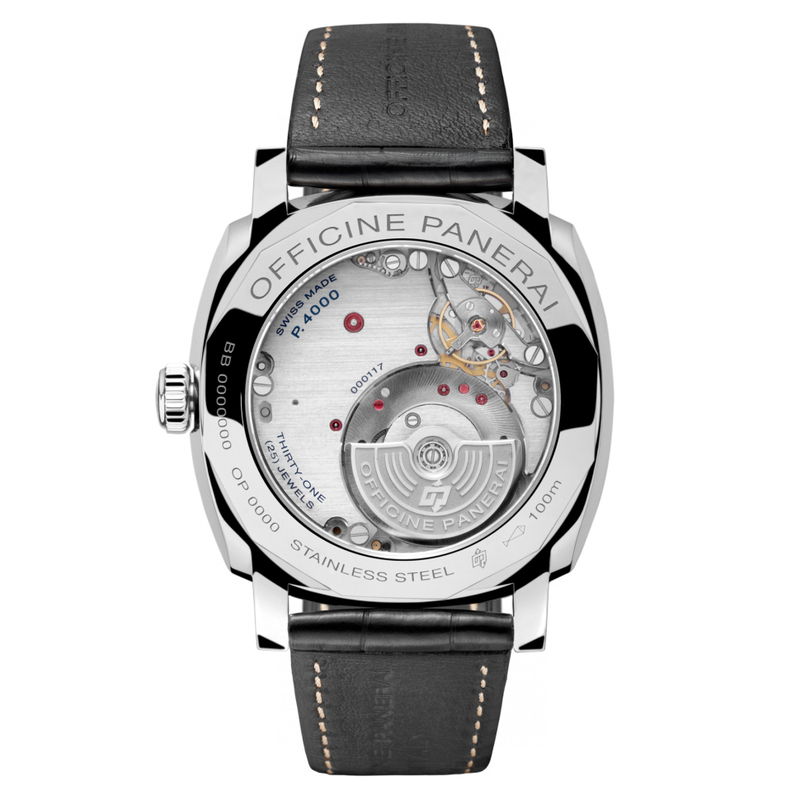 ​The new P.4000 caliber is the first Panerai automatic movement with an off-centre micro-rotor. 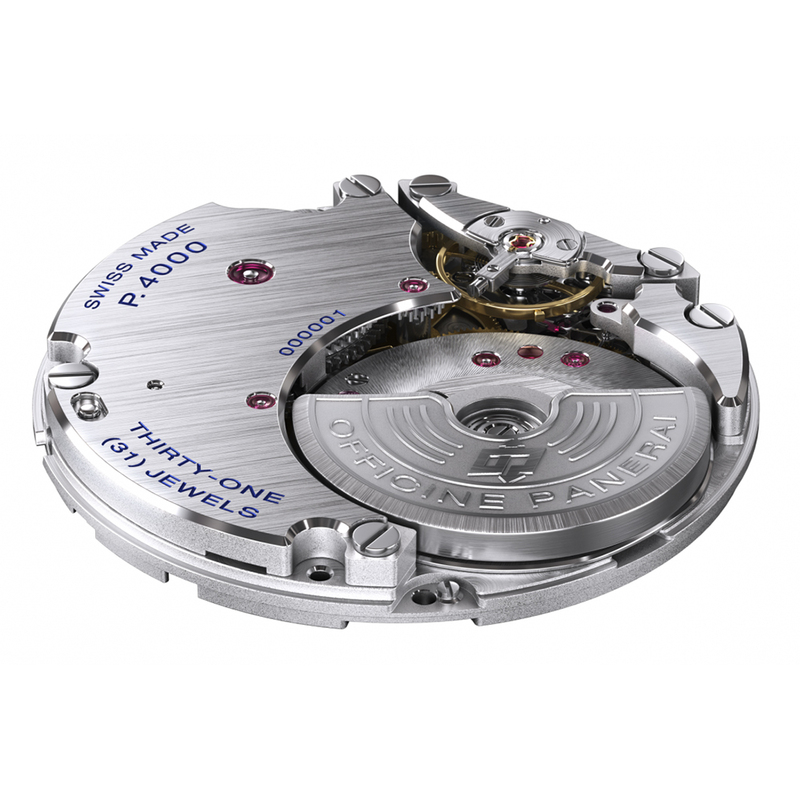 This means that the rotor is smaller in diameter than the caliber itself: a sophisticated technical solution which enables the movement – and therefore the watch – to be much thinner.